It’s summer and it’s time to play. The sun calls you outside and you can’t resist its siren song. But before going out, try these skin-friendly Aromatherapy tips to protect yourself so you can still call the sun your friend. The first line of defense for your skin is hydration. Drinking ample amounts of water is beneficial – try infusing fruit or veggie slices in a glass of H2O for a decadent treat. You can also care for your skin from the outside. 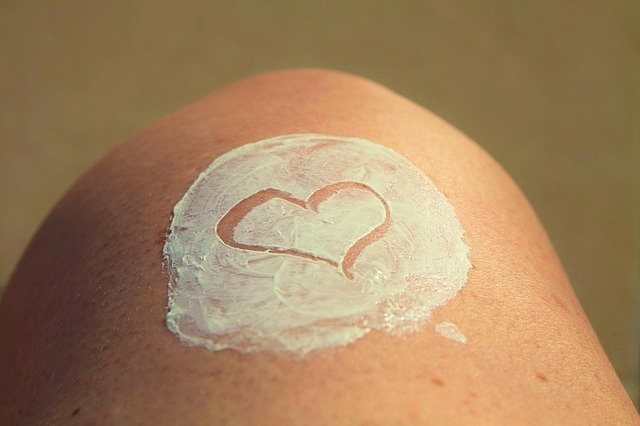 Applying body lotion or oil is always welcome after a long day in the sun, but adding a few drops of Frankincense (Boswellia carterii) or Roman Chamomile (Chamaemelum nobile) essential oil first will help to nourish the skin. Put cornstarch and baking soda in a jar; add essential oils and stir. We waited what seemed like a long time for the sun to show up, so go out there and enjoy it.